The intestinal microbiota plays crucial roles in host health. The Pacific white shrimp is one of the most profitable aquaculture species in the world. Antibiotic supplement in feed is an optional practice to treat shrimp bacterial diseases. However, little is known about antibiotic effects on intestinal microbiota in pacific white shrimp. Here, shrimps were given feed supplemented with ciprofloxacin (Cip) (40 and 80 mg kg−1) and sulfonamide (Sul) (200 and 400 mg kg−1) to investigate the microbial community by targeting the V4 region of 16S rRNA genes. Within 4 days after feeding with normal feed and with antibiotics, antibiotic concentrations of Cip and Sul groups in the intestine dropped sharply. 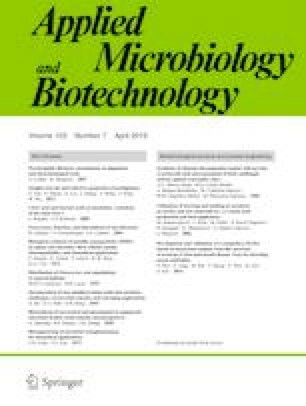 Significantly, increased abundance of antibiotic resistance genes (ARGs) of ciprofloxacin (qnrB, qnrD, and qnrS) and sulfonamide (sul1, sul2, and sul3) was observed in Cip and Sul groups (P < 0.05). A total of 3191 operational taxonomic units (OTUs) were obtained and 41 phyla were identified from 63 samples in shrimp intestine. The numbers of OTUs and Shannon index decreased rapidly at day 1 (the first day after feeding with antibiotics) and increased at day 3 (the third day after feeding with antibiotics). The relative abundance of dominant phyla and genera in Cip and Sul groups were significantly different from that in the control group (Ctrl). Furthermore, functional potentials that were related to amino acid metabolism, carbohydrate metabolism, and cellular processes and signaling varied significantly in Cip and Sul groups. These results point to an antibiotic-induced shift in shrimp intestinal microbiota, which highlights the importance of considering the microbiota in shrimp health management. The online version of this article ( https://doi.org/10.1007/s00253-019-09671-9) contains supplementary material, which is available to authorized users. This work was financially supported by the China Agriculture Research System (CARS-48), the Guangzhou Science Technology and Innovation Commission Project (201510010071), and the Guangdong Ocean and Fishery Bureau Project (20164200042090023). This article does not contain any studies with human participants by any of the authors. No specific permits were required for the described field studies. No specific permissions were required for access to the artificial pond in Maoming, Guangdong Province, China. The field studies did not involve endangered or protected species. This study was reviewed and approved by the ethics committee of Sun Yat-sen University.